We start off the show discussing the verdict in the CM Punk & Colt Cabana case filed by Dr. Christopher Amann with Punk and Cabana winning the case with no damages awarded to either side. Nick Hausman & Ross Berman from WrestleZone have been covering the trial daily in Chicago and join us to chat the verdict and take inside the courtroom with their coverage. 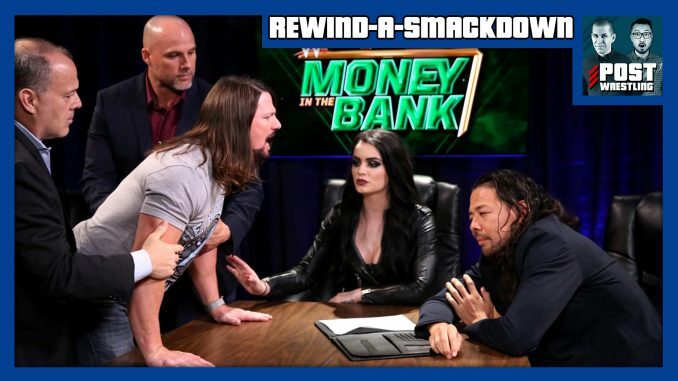 On SmackDown, the show featured a six-man tag involving all potential members of the men’s MITB ladder match with The Miz, Samoa Joe & Rusev taking on New Day, Becky Lynch submits Charlotte and Carmella didn’t reveal any “untold truth” about Asuka. Plus, what is the goal of the Nia Jax vs. Ronda Rousey program internally? An update on the Authors of Pain and more.